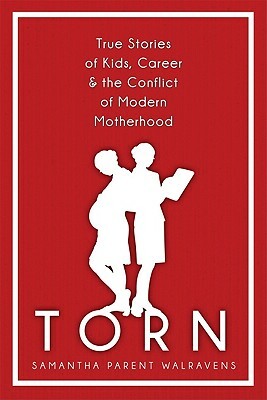 Torn is an anthology of essays that captures the voices of a generation of women caught in the crossfire of kids, career, and family life. In a series of 46 heartfelt and often laugh-out-loud essays from women representing a wide range of crafts and professions, the book exposes the dirty truths of motherhood and the inevitable crises that life brings: battles with cancer, lost jobs, broken marriages, unplanned pregnancies, the heartbreak of infertility, and lots of "bad mommy" moments. As these stories illustrate, there is no perfect mother, nor is there a perfect balance when it comes to kids and successful career.